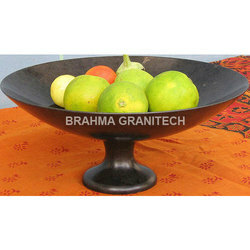 We are one of the most well-distinguished companies in the market that are into offering Granite Fruit Bowl. We are offering a superior quality Marble Fruit Bowls, marble plates, marble decoration For Dining Table to our most valued clients. 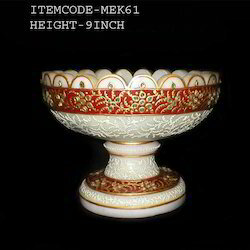 TheseMarble Fruit Bowls, marble plates, marble decoration For Dining Table are made by using superior quality raw material which ensure its quality and durability. We offer a wide range of dry fruit Bowls to our esteemed clients. Offered in different sizes and designs, these bowls are widely appreciated for its quality finish and long lasting impression. We customized our products as per the client’s need. Copper bowl with good quality metal & nice carving. This is a Brass fruit Bowl. It has beautiful meenakari work embossed on it.